Professional Experience: Jarett Wait is managing principal of JF Wait Advisors, a consulting firm based in New York City. He is senior advisor and board member at CoVenture. Prior to this, Jarett was a managing director, member of the executive committee and global head of the Capital Formation Group at Fortress Investment Group. Jarett spent the vast majority of his career at Lehman Brothers in various senior executive roles. He is a member of the Council on Foreign Relations, advisory board member for Center on Law and Security NYU School of Law, board member of Workforce Opportunity Services (WOS), and member of the board for CityLax. Jarett is a 1980 graduate of the College of Art & Sciences, Cornell University. Jarett is president of the alumni board of Mu Chapter of Sigma Pi Fraternity. He is a board member for the Mu Chapter of Sigma Pi Educational Foundation. He previously served on the Cornell University Council, the College of Arts and Sciences Advisory Council, and Cornell Athletic Advisory Board. He is an active supporter of both Cornell men’s and women’s lacrosse teams. Professional Experience: Kurt graduated from Cornell and went on to earn a doctorate degree in neuroscience and psychology from Princeton University (1985). He served as a post-doctorate associate at Yale University Medical School from 1985 to 1989. He is currently leading efforts at Eli Lilly & Company in Indianapolis, where he is a research scientist, to develop novel treatments for psychiatric disorders such as depression and schizophrenia. 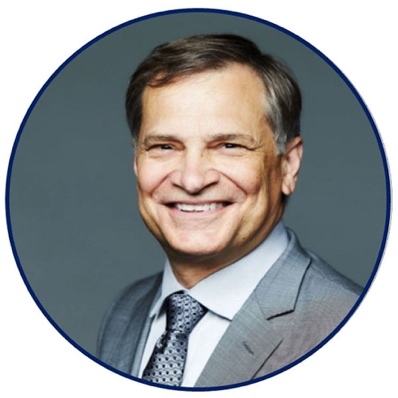 Professional Experience: Before retiring in 2003 to pursue a doctorate degree at Cornell (received in 2010), John spent 27 years as a human resources manager, including 21 years at General Electric where he was the vice president of human resources for the Industrial Systems business. He is now teaching at Cornell. Cornell Involvement: John is a senior lecturer in Industrial Labor Relations (ILR) at Cornell. Professional Experience: Rob Novo graduated from the School of Industrial and Labor Relations. He currently is the chief administrative officer for Zep Inc., located in Atlanta, Georgia. In this role, Rob is responsible for providing support to the organization in human resources, legal assistance, environmental health and safety, risk management, and payroll and compliance. Prior to joining Zep, Rob held a variety of roles in corporate America, having worked for General Chemical, Honeywell, AlliedSignal, Textron, and General Motors at various stages of his career. Rob, along with Tom Silver ’81, has been leading the Career Development Committee for the last two years. Professional Experience: John's degree in mechanical engineering and participation in NROTC led to more than five years as an officer in the U.S. Navy Nuclear Power Program, including more than three years on the submarine, USS Jack (SSN-605). His naval service was followed by 31 years at the PSEG Salem and Hope Creek Nuclear Power Plants in Southern New Jersey. After starting in plant operations as an NRC licensed Senior Reactor Operator, John held jobs in maintenance, engineering, Corrective Action Program, quality assurance, supply chain, work management, and project management. His positions included direct supervision (of shift operators, staff, and engineers), project manager, department manager, and assistant to directors and vice presidents. He retired in December 2011, and is working part time in the nuclear industry. Professional Experience: Stephen Ryan is an ILR graduate who practices law in Washington, D.C., at the international law firm, McDermott Will and Emery, where he heads the firm’s lobbying, congressional investigations, crisis management, and government contracts lawyers. Steve married Lisa Ryan, and two of his three sons, John Lincoln ’10 and William ’14, also attended Cornell, while son Matthew played soccer for nearby Binghamton. Steve went to the University of Notre Dame Law School, clerked for a federal judge, served as a federal organized crime prosecutor, and as chief counsel of a Senate Committee chaired by Senator John Glenn. Cornell Involvement: As a Pi man, Steve, along with a group of brothers, could often be found working as bartenders or night managers of the Thirsty Bear Tavern, game room, and other facilities of the North Campus Student Union. Steve, a mediocre athlete at best, captained successful Pi house soccer and lacrosse teams. Professional Experience: Principal of Baldwin and Welsh & Parker Insurance Agencies in Massachusetts since 1990. Prior to that, served as export transportation manager and folding carton division administrative manager at Westvaco Corporation and as an environmental engineer with Dynamac Corp. and Proctor and Gamble. Cornell Involvement: Cornell Engineering Ambassador in the ’90s. Class of ’79 fundraising for 30th Reunion Gift in 2009. Professional Experience: Steve took his Cornell experience back to New York, his home town. He has worked in the hospitality industry, focusing his work in food and beverage departments at a number of restaurants and hotels. Cornell Involvement: Steve is an active supporter of Cornell’s hockey and lacrosse programs. He is committed to ensuring that Mu Chapter will continue to be a leader within both the Cornell and Ithaca communities. Professional Experience: Brian M. Finneran is CEO and founding partner of Intermedia Events & Conference Group with offices in New York City. A graduate of the Cornell University School of Hotel Administration, Brian’s experience in the hospitality industry is extensive and includes major event production, catering management, sales & marketing, business development, food & beverage management, hotel operations, human resources, and finance. He has applied his skills for major corporations, not-for-profit groups, political parties, venture capitalists, and celebrities. Brian is a member of the Cardinals Committee for Charity and was honored by John Cardinal O’Conner in 1998 for his efforts on behalf of the CCC. He is a member of the Friendly Sons of Saint Patrick and is an active council member of the Ireland United States Business Council. He is also a board member of the Greenwich YMCA and a board member of the Transportation Association of Greenwich (TAG). Cornell Involvement: Brian is a member of the Cornell Society of Hotelmen and the Cornell Hotel Association. Professional Experience: Since graduating, Dennis has been involved in corporate and securities law for both private practices and corporate counsel teams. For the past 15 years, he has served as the acting general counsel for a company engaged in mergers and acquisitions and served as the in-house counsel of two financial services firms. He is currently the executive vice president and general counsel of Oppenheimer & Company, Inc., a New York-based financial services company with offices in New York City, London, Hong Kong, Tel Aviv, and Beijing. Cornell Involvement: Dennis has, for the past several years, served as a Cornell Alumni Association ambassador, meeting with and interviewing prospective students. Professional Experience: After spending three years as Milkboy at Sigma Pi, Michael left the dairy business and Cornell for a career in technology. Six years at a startup interspersed with two round-the-world trips was followed by another six years back in graduate school. After receiving his doctorate in computer science at SUNY Stony Brook, Michael spent time at Lucent Bell Labs and Avaya Labs as a research scientist, primarily working in the area of video communication systems. He recently left the industrial-lab environment to work for Worldnow, a small technology media company in New York City. Michael lives on the Jersey Shore with his wife and two children. He is the organizer of the Sigma Pi Procrasticup Golf Tournament. Professional Experience: Liviu studied business and mechanical engineering at Cornell. He is a builder in New York City and a serial entrepreneur. His construction projects have been featured in print, television, and online media. Entrepreneurial endeavors include a Facebook-like start-up in 2000, a biodiesel refinery in the Bronx, and a kombucha brewery in Jersey City. Cornell Involvement: Liviu is an active supporter of the Cornell polo program. As a father to two sons, Alexander (’35) and George (’38), he is committed to ensuring that Sigma Pi will be here with the same learning opportunities he had. Professional Experience: Matt is a lead specialist with PepsiCo. Matt has been with PepsiCo since graduating from Cornell, and he currently works within the PepsiCo Enterprise Business Solutions Group. Matt leads a team of developers, consultants, and specialists tasked with the technical design and construction of business applications that deliver powerful analytical solutions to the company. Matt lives and works in New York City, but business frequently takes him to Chicago and Dallas. Professional Experience: Craig moved to Los Angeles a week after graduation and started as a post-production assistant for the film Miami Vice. The following year, he went on to work for Warner Bros. Television and Lakeshore Entertainment before becoming an assistant editor. In the past five years, Craig has contributed to The Darkest Hour, Guilt Trip, World War Z and Delivery Man, as well several independent films. He recently relocated to Berkeley, California while his girlfriend attends University of California, Berkeley for her Masters in Journalism. In the meantime, he is writing screenplays and working on his first novel. Cornell Involvement: Craig has served as a Cornell Alumni Association Ambassador in both Los Angeles and Alameda County since 2006. Professional Experience: Retired since 2001, VanNess went to work for New York Central Insurance Company after graduation. He has continued to be involved there as the CEO and secretary of the company. Throughout the years, he has also been involved with voluntary fire and emergency squads and is a member of the local Rotary Club.